If you like our Sandia machines, but need a little extra cleaning power, then look no further. 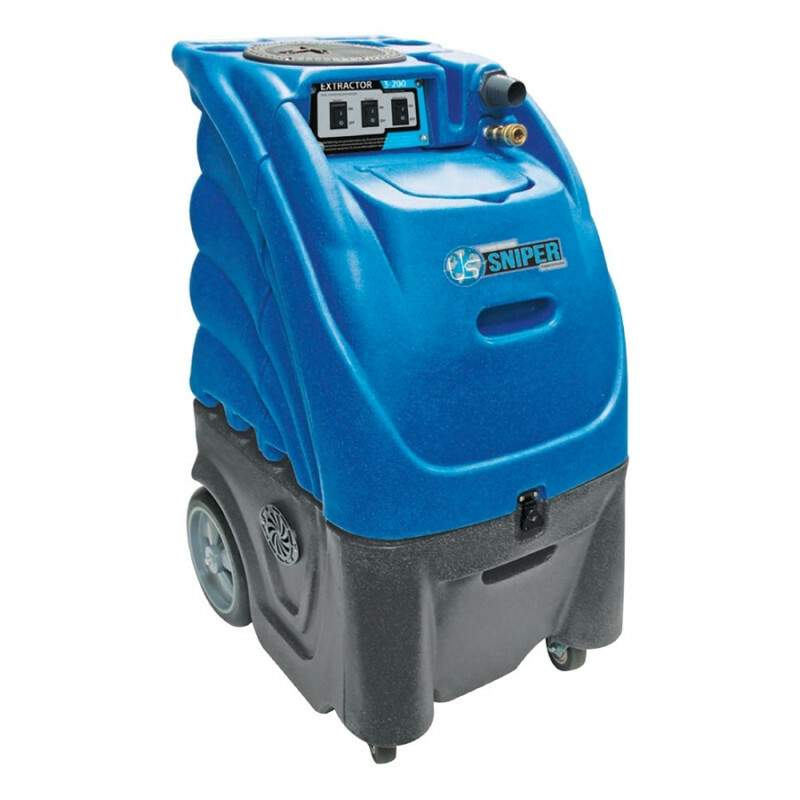 This medium duty heated Sniper carpet extractor offers a 300 psi adjustable pump, which gives you ample water pressure for the toughest stained carpets. The dual 3-stage vacuum motors, cooled by a built-in cooling system, let you remove as near to 100% of the cleaning solution from your carpet as possible. This leaves them cleaner and drier than a lighter duty carpet machine. Sandia manufacturers great carpet cleaning machines for the professional carpet cleaner. Backed by an industry leading lifetime warranty on the body, 2 years on the motors, and 1 year on the pump and electrical parts. You can have complete confidence when buying a Sandia Sniper carpet extractor, that you are buying a high quality machine at a great price! This machine comes powered by 2 power cords. Essentially one that powers the machine, and then one that powers the heater. If no heat is needed, the machine can be used as a non-heated extractor and can be run off of a single electrical outlet. Great for portable detailing and extracting. We have a wide selection of machines to choose from so don't forget to take a look at at our full lineup of heated carpet extractors to find just the right machine for you. 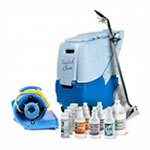 Full 12 gallon recovery and solution tanks for larger carpet cleaning jobs. 300 psi adjustable pump allows you to dial in the correct amount of pressure for each individual job. Dual 3-stage vacuum motors recover as much water possible, reducing the overall dry time after extracting. 2000 watt in-line water heater produces maximum heat to bust down dirt & stains to remove them. 2 separate power cords, one to power the machine & one for the heaters. Heavy duty roto-molded tanks are built to withstand the abuse that comes with being a portable extractor that is transported from job to job.